Another giveaway for you readers! Awhile back, I received this little parcel from NextAve and there were 3 carefully wrapped items in it. 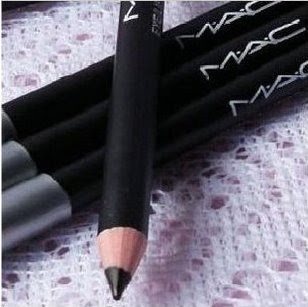 The first product: This Beely Eyelash Growth promises to lengthen ur eyelashes by at least 3mm. & up to 7mm.After 7 days of usage, users will realize that their eyelashes are more healthy,they don't fall off so easily like before.After 15 days their eyelaashes will be lengthen up to 3mm.After 28 days it can grow up to 7mm(depend on individual).It is the no.1 seller in Taiwan now. I'm sure everyone wishes for longer eyelashes. I wished I had natural long and thick lashes. Mine are non-existent! 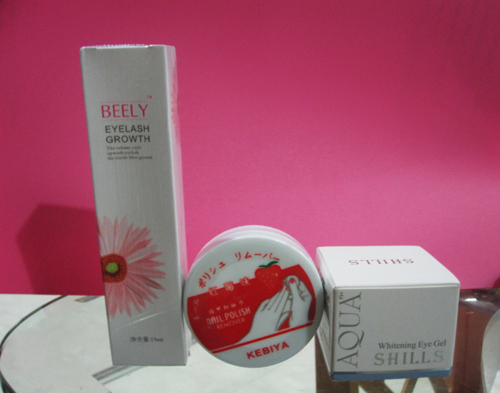 If you are like me, you can win the Beely Eyelash Growth as above! Otherwise, you can also buy some faux eyelashes on Nextave too! The 2nd product is nail polish wipes. I always find it a hassle to remove polish. I hate to use the usual way with nail polish remover and cotton pads. It's like removing makeup, I prefer to use wipes than washing it with a liquid makeup remover. This product, I'm keeping it for myself! The 3rd product would definitely be useful for you night owls out there. Get rid of dark eyes by using this whitening eye gel. Check them out at http://www.nextave.blogspot.com/!